OFFER FOR YOU - DOUBLE COMMISSION FOR 30 DAYS! If all this sounds exciting, join us or send an email to start earning! Please get in touch with rebecca.barsby@lilyandloaf.com. We would love to hear from you! Promote our latest offer to your customers! We currently have an offer on our site for 10% extra off SynerProTein Original or Chocolate. All your customers need to do is add the product to there basket and hit 'CHECKOUT' as the products have already been set at the discounted price! So no need to worry about remembering codes! DON'T JUST SURVIVE THIS WINTER - THRIVE! Ward off those pesky bugs by maintaining a strong immune system. This formula provides generous levels of antioxidant Vitamins A, C and E along with Zinc and Selenium, contributing to a reduction in tiredness and fatigue, and the protection of cells from oxidative stress. Designed to help maintain a healthy immune system this combination contains essential nutrients, and includes whole food sources of micronutrients for immune tissue. A blend of natural ingredients formulated for the immune system that also acts as an antioxidant to strengthen the body. Immune Formula is a combination of beta-glucans, arabinogalactan, colostrum, cordyceps mycelium maitake whole mushroom, and reishi mushroom mycelium, to help support the body's immune response. 70% of the body’s immune cells are in the digestive tract, poor digestion compromises your immune system, an important supplement for a healthy digestive system is a multi strain probiotic. Pro B11 is a high potency, multi-strain, natural live bacteria supplement that provides almost 12 billion bacteria per serving. The eleven strains of bacteria in Pro B11 ensure you replenish your gut with a variety of beneficial flora. Contains Bifidobacterium strains longum, infantis and bifidum, which help to create B vitamins, and Lactobacillus strains release unique enzymes, which help to break down larger milk proteins for absorption. B vitamins support and increase the rate of metabolism, maintain healthy skin, hair, and muscle tone, help with energy levels and enhance immune system and nervous system function. Winter drags many of us down, zapping our energy levels and leaving us feeling drained. B vitamins provide an array of health benefits contributing to a reduction in tiredness and fatigue, normal energy yielding metabolism, and normal function of the immune system, providing energy, endurance and stamina. many other benefits of B vitamins, thiamin (B1), contributes to the normal function of the heart, Riboflavin (B2) contributes to maintenance of normal red blood cells, skin, vision and metabolism of iron. Vitamin B Complex contains the full range of B vitamins plus the tablets include the SynerPro® concentrate base of broccoli, carrot, red beet, rosemary, tomato, turmeric, cabbage, grapefruit, orange bioflavonoids and hesperidin. Did we mention our 8% basic CPA rate? How about our increasing commission rewards? Our products are suited to a variety of health-related lifestyles, and appeal to a wide demographic. Everything from healthy eating to the workout regimes, and all sorts in between! Our Average Order Value is c.£35!! We have a full suite of banner creative available in various sizes, and a regularly updated product feed. Please contact Rebecca Barsby on rebecca.barsby@lilyandloaf.com for any questions regarding this offer or joining our programme. Wishing all our Affiliates a busy month. PEA PROTEIN OFFER- NOT TO BE MISSED! Pea Protein powder is relatively new and is especially popular among vegetarians, vegan and people with allergies or sensitivities to dairy or egg proteins. Easy to digest – no gassy or bloated tummies! Unlike some plant-based protein powders, pea protein is well digested and highly bio available. Pea protein is almost as good as whey protein for building muscle, feeling satiated, and recovering from workouts. Pea protein is one of the best plant-based forms of protein that you can eat, and when flavoured well, has a uniquely pleasant taste. Pea protein is hypoallergenic, especially when compared to whey, casein and even soy protein powders. All of which can be very allergenic, especially when consumed daily for extended periods of time you may end up feeling bloated, gassy, nauseous or worse after drinking a shake. This quickly makes them intolerable. Whey protein comes from milk and is a by-product of cheese making. Whilst it is high in protein, it does also contain lactose, a milk sugar that many people have difficulty digesting. Pea protein powder doesn’t have any allergenic ingredients. It is also easily digested, and is unlikely to make you feel gassy or bloated after drinking a shake, whilst at the same time, the amino acids are easily digested. Pea Protein also helps you to stay full, with studies showing that drinking pea protein powder activates the release of hormones in your body that keep you feeling full between meals. This makes it great to drink as a meal replacement or when you are dieting to lose weight. GET A FREE NATURE'S SUNSHINE SHAKER!! Most of your body is made from protein. It provides the essential building blocks for muscle, proteins, enzymes and hormones in the form of amino acids. As protein can’t be stored within the body, it’s important to consume to consume good quality protein every day. Combine all ingredients in a blender then pour into our Nature's Sunshine Shaker. EVERFLEX OR MAGNESIUM OFFER- RECEIVE 10% OFF! FED UP WITH BEING SIDELINED DUE TO JOINT PAIN? Has your fitness streak come to an abrupt end due to nagging joint pain that just won't seem to go? Whilst all your gym or running buddies are making great fitness gains you're sat watching and wondering when you can start exercising again. Sudden joint pain is usually the result of overuse or injury. The knee joint is especially vulnerable to damage and pain because it takes the full weight of your body and any extra force when you run or jump. Cartilage is the ‘shock absorber’ for the joints, protecting bone from wear and tear. Although it is a tough and flexible material, it is relatively easy to damage. People with cartilage damage commonly experience joint pain, stiffness, and inflammation. EverFlex is formulated to help maintain healthy joint mobility, EverFlex provides important nutrients, which are the building blocks for healthy cartilage in joints. Cartilage is a tough, flexible tissue found throughout the body, it covers the surface of joints, acting as a shock absorber and allowing bones to slide over one another. In the UK, around 10 million people have arthritis and it affects people of all ages. The two most common types of arthritis are: osteoarthritis and rheumatoid arthritis. Rheumatoid and osteoarthritis are two different conditions. Osteoarthritis initially affects the smooth cartilage lining of the joint. This makes movement more difficult than usual, leading to pain and stiffness. Rheumatoid arthritis occurs when the body's immune system targets affected joints, which leads to pain and swelling. Whilst the two types are very different both cause joint pain, stiffness and inflammation. The objective of treatment for both types of arthritis is to reduce pain, manage symptoms, and prevent further destruction to the joints. BUY EITHER EVERFLEX OR MAGNESIUM AND RECEIVE 10% OFF! Magnesium is a mineral that is crucial to the body's function and our overall health. It’s actually involved in over 300 biochemical functions within the body, our body loses stores of magnesium from everyday normal actions. Whilst we only need small amounts of magnesium relative to other nutrients it is vital our stores regularly replenished. maintain the normal function of the parathyroid glands, which produce hormones for bone health. Magnesium is found in a wide variety of foods including brown rice, green leafy vegetables, nuts, fish and meat.However, many modern diets are not just lacking in magnesium - they actively deplete it. Intensive farming has seen the magnesium content in vegetables decline by as much as 80 per cent since 1950.Caffeine, alcohol, processed grains and sugar prompt the kidneys to expel magnesium, depleting already low levels still further. Stress can lead to magnesium deficiency. The stress hormones adrenaline and cortisol, released in ‘fight or flight’ situations, deplete the body’s natural store. Nature's Sunshine's Magnesium has the added benefit of Malic acid. Malic acid is a natural substance found in fruit and vegetables and possesses many health-related benefits. It is involved in the production of energy in the body, provides stamina and endurance to muscle cells and also reduces the risk of a build up of toxic metals. Magnesium and Malic acid combined are a great health combo and bring out the best benefits in each other. EVERFLEX OR MAGNESIUM CAN HELP BETTER YOUR FUTURE! Please contact Rebecca Barsby on rebecca.barsby@zudirect.com for any questions regarding this offer or joining our programme. GET V FESTIVAL READY WITH 15% OFF SOLSTIC ENERGY! V FESTIVAL READY? DON'T FORGET YOUR SOLSTIC ENERGY! To live your life to the full you need plenty of energy, and Solstic's blend of natural energy releasing ingredients can help to provide added stamina, without added risk. 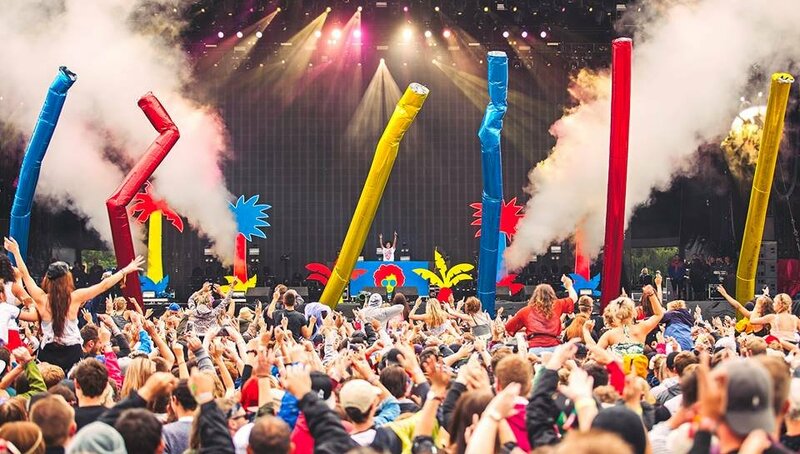 So instead of reaching for a cup of coffee, a fizzy drink, or a sugar loaded energy product, why not opt for the natural alternative, with Solstic Energy at give yourself that kick ready to dance at V Festival. Some drinks can overload your body with unwanted sugar, processed caffeine and other 'quick fix' ingredients, which can result in a vitatlity-sapping, energy ctash, leaving you feeling jittery and jumpy. Solstic's unique formula includes yerba mate green tea extracts, and guarana seed- a natural source of caffeine that releases more slowly than processed caffeine. The B vitamins in Solstic Energy provide an array of health benefits that contribute to a reduction in tiredness and fatigue, energy yielding metabolism, and normal immune system function, providing energy, endurance and stamina perfect for those early wake ups at those midday downfalls at V Festival. With only 15 calories, 3g of carbohydrates, and no fat. It contains sucralose, a sweetener made from natural sugar, has a low glycemic index, and is suitable for vegetarians and vegans. Solstic Energy is a little pack with a MIGHTY PUNCH, and is also available in a box of 30 single serve sachets. Ready to slip into your bag ready for V Festival! Order now and enjoy your fun packed weekend even more! Say NO to quick fix energy drinks and say YES to natural Solstic Energy! Recommendation: Mix with 500ml of water - drink 1 to 2 servings a day. Ingredients: Citric acid, guarana seed extract (Paullinia cupana), natural flavour (citrus), malic acid, sweetener: sucralose, grape skin extract (Vitis vinifera), green tea leaf extract (Camellia sinensis), niacinamide, yerba maté leaf extract (Ilex paraguariensis), pantothenic acid, vitamin B6 pyridoxine hydrochloride), riboflavin, thiamin (thiamine mononitrate). Bulking agent; maltodextrin, anti-caking agent; silicon dioxide. P IS FOR PEA PROTEIN GET 10% OFF NOW! Unlike some plant-based protein powders, pea protein is well digested and highly bio available. Pea protein is almost as good as whey protein for building muscle, feeling satiated, and recovering from workouts. This product is one of the best plant-based forms of protein that you can eat, and when flavoured well, has a uniquely pleasant taste. This product is hypoallergenic, especially when compared to whey, casein and even soy protein powders. All of which can be very allergenic, especially when consumed daily for extended periods of time you may end up feeling bloated, gassy, nauseous or worse after drinking a shake. This quickly makes them intolerable. Keep Calm and enjoy a further 10% off! July is the month where parents start to prepare for the School Summer Holidays! The summer holidays are a time when even the most spirited of parents' enthusiasm can start to wane. Many parents start to worry about how to keep their children occupied for a whole six weeks and the impossible work/home life juggle that comes with it. The Ingredients in this yeast free formula can help us settle when life becomes too much of a challenge, and help to replenish vitamins that are often depleted in times of stress. Nutri-Calm is specially formulated to provide plentiful levels of Vitamin C and B-Complex Vitamins, which helps maintain a healthy nervous system, along with the herb chamomile. B-complex and C vitamins are the core of all vitamin supplements which help maintain a healthy nervous system, and contribute to a reduction in tiredness and fatigue. Lets enjoy this sunshine with an extra 10% off your customers entire order from the 1st July! We are offering your customers a site wide offer this month, add the items they want to the basket then insert the offer code "ALL10" before checking out and they will receive 10% of their entire order. Our General Nutrition products are designed to help you get the right amounts of Protein, Fibre, Antioxidants, Vitamins and Minerals, and Essential Fatty Acids to help keep you in great shape. Nature's Sunshine has built its reputation on purity, quality and efficacy, and purity testing guarantees that you always get what is listed on the label and nothing else. Organic growers strive to offer crops free of chemical additives. But even organic material requires extensive testing. NSP tests for foreign materials and for micro-contamination, such as salmonella and E.coli, yeast and mold as well as heavy metal contamination, pesticides, herbicides, fungicides and PCB’s. SUMMER SOLSTICe!- Longest Day Offer! The summer solstice is the longest day of the year - the day in which we can enjoy approximately 17 hours of daylight. The term "solstice" derives from the Latin word 'solstitium', meaning 'sun standing still'. Astrologers say the sun seems to 'stand still' at the point on the horizon where it appears to rise and set, before moving off in the reverse direction. Summer brings us longer days, lighter nights and (hopefully) an increase in sunshine! The sun's rays boost our serotonin levels, which some experts believe to lift our mood and increase our feeling of well-being and happiness. Solstic Slim is a great tasting drink mix formulated to support any weight management programme, by helping to manage cravings, and reducing fluctuations in blood sugar that can occur because of unhealthy snacking. It's ideal for those that need a helping hand, Solstic Slim has been specially created by experts, to help you towards your target weight, with four key ingredients, each chosen for their unique benefits, that have been formulated in a way that maximises their potency. - Green Coffee Bean extract, which contains chlorogenic acid, a well-known ingredient in weight management. - Grape Skin Extract, which contains resveratrol, known for its antioxidant activity. - Yerba Maté to help promote feelings of fullness. - Green Tea extract, loaded with potent antioxidants called catechins. Why not try filling ice lolly moulds and freezing them with your favourite Solstic drink for a refreshing, cooling and healthy treat? Don't miss out on our 'try before you buy' on all orders placed until Wednesday, purchase anything on site and receive a free Solstic sachet in your order. Then if you like it you can even take advantage of our extra 10% off the entire Solstic Range! A helping hand for your customers to curb snacking, currently with an extra 10% off Solstic Slim! Weight gain can be the result of many varying factors. Lifestyle, diet, physical and psychological issues, medication, metabolism and hormonal imbalances which directly influence our weight, and ultimately our health and well being. Nature’s Sunshine has a unique range of safe and effective nutritional products and programmes created specifically to help you achieve your personal goals and slim down. No fads or gimmicks, and designed to be taken alongside a normal healthy diet. Solstic Slim’s special formula includes Green Coffee Bean extract, which contains chlorogenic acid, a well-known ingredient in weight management. Grape Skin Extract, which contains resveratrol, known for its antioxidant activity. Yerba Maté to help promote feelings of fullness, and Green Tea extract. Reduce the absorption of dietary starches with all-natural Carbo Grabbers. Ideal product for anyone wanting to absorb less fat from their everyday diet, Fat Grabbers™ is a unique formula of wholesome nutritional ingredients. Purity testing is vital, and Nature's Sunshine's experts make sure that they obtain only the correct ingredients that offer the most health benefits. Their expert team of Nutritionists, Biologists, Pharmacists and Herbalists test every batch of raw material, guaranteeing 100% purity. Don't let your customers miss out on our current special offer! The summer solstice is the longest day of the year - the day in which we can enjoy approximately 17 hours of daylight. Summer brings us longer days, lighter nights and (hopefully) an increase in sunshine! The sun’s rays boost our serotonin levels, which some experts believe lift our mood and increase our feeling of well-being and happiness. The exclusive Solstic Range offers a convenient and compact collection of great tasting nutritional drink mix formulas that provide a superb range of benefits in three specific target areas – Energy, Nutrition and Weight Management. Each product in the Solstic Range has been carefully and precisely formulated using only the finest ingredients to bring you the most perfectly balanced and effective product possible. Seeing as we have finally reached the summer months we are offering our Solstic range at a further 10% discount.